In comparison . . . . This Vincent van Gogh painting was based on an earlier lithograph by an artist that Van Gogh greatly admired: Honoré Daumier. 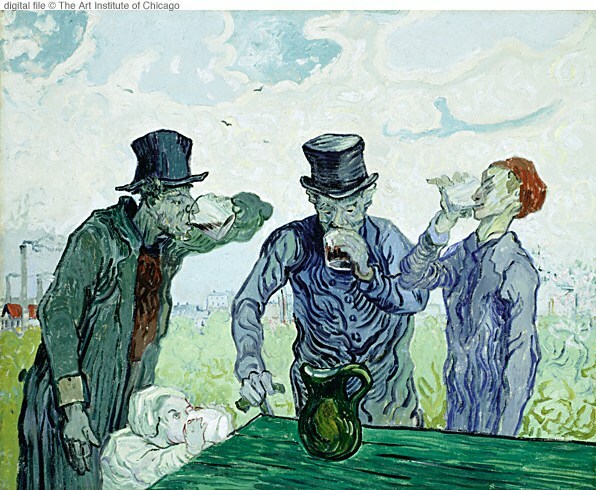 Compare Van Gogh's version to the original version of Daumier's The Drinkers.